At Tropicasa Realty, our Puerto Vallarta real estate agents and team not only specialize in helping clients find the ideal home or condo in Vallarta, but love to share our knowledge about local lifestyle, to help make your transition to living in Mexico more enjoyable. Maria O’Connor, our in-house legal expert, is not only regarded as one of the best real estate attorneys in Puerto Vallarta, but also well-known as a world traveler and epicurean. In fact, she recently opened Gernika Pintxos, a successful tapas and wine bar, inspired by her time spent in Spain. 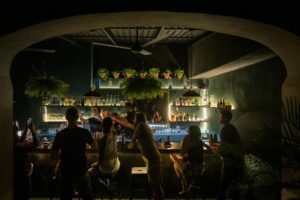 So, we were excited to hear and share her review of a new hot-spot recently opened in downtown Puerto Vallarta: El Colibri Bar. Located at Calle Morelos 582, El Colibri describes itself as a ”speakeasy jungle garden, serving handcrafted cocktails using regional spirits, Mexican wines and locally brewed beer from Banderas Bay.” And indeed, there is a speakeasy feel, as one enters through a long corridor from the street, passing a series of doors, to enter the sleek bar area and spacious, lush garden terrace beyond. 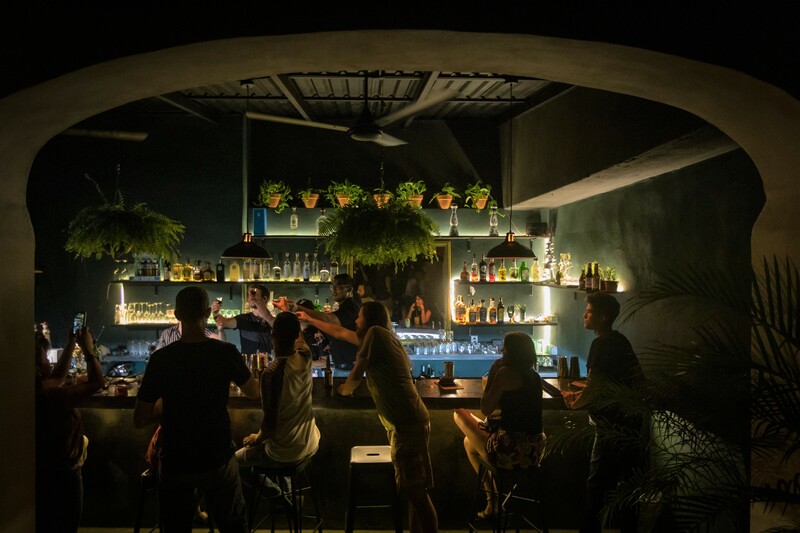 Launched by foreign residents who felt that something was missing on the local nightlife scene, El Colibri has created the perfect secret hideaway, with wonderfully creative cocktails, a thoughtfully chosen selection of excellent Mexican wines and showcasing some of the best of Puerto Vallarta’s local craft beers. All served up with friendly and highly attentive service. El Colibri Bar is open Tuesday through Sunday, from 6:00 pm to 1:00 am, and the secret of this speakeasy location will certainly not be kept quiet for long. Be sure to be one of the first to discover this new “local’s favorite” hangout.